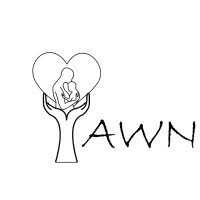 YAWN (You Ask We Nurture) is a unique volunteer home visiting service offering tired parents practical help and companionship. Imagine that you are a mother at home with a toddler and an infant. The baby has been awake feeding every 2 hours, and the toddler has given up napping. You have not had a conversation with an adult for a week and you are exhausted. There is a knock at the door and a volunteer asks, "What would be most helpful for you today?" The YAWN service provides just this kind of support to families with babies in the Blue Mountains.. This much needed practical assistance enables weary parents to rest, encourages confidence in their own parenting, and aims to provide support to families before there is a crisis. YAWN volunteers are trained and supported to partner with families with babies and young children to enable parents to get some rest. Each volunteer visits a family with a baby up to one year old in their own home for two hours once a week. During home visits, volunteers may hold the baby, play with older siblings or just make a cup of tea and listen – whatever is useful. The service is offered to families for up to six months. The role of the volunteer is not to offer advice, but rather to support parents in their desire to parent well. Volunteers also identify when a family may need more specialised support and can help refer families to other community services. We currently have 14 volunteers working with families in the Blue Mountains, supporting up to 32 families each year. Help is provided for 2hrs each week for a 6mths period in the child's first year. The more funds we can raise, the more volunteers we can train, and the more volunteers we can train the more families we can support. Connect Child and Family Services is a Registered Charity with Deductible Gift Recipient status, so donations of $2 or more are tax deductible. Please click the DONATE button and make a donation to directly fund our next training program, and help us Nurture, Educate and Grow families within your community.